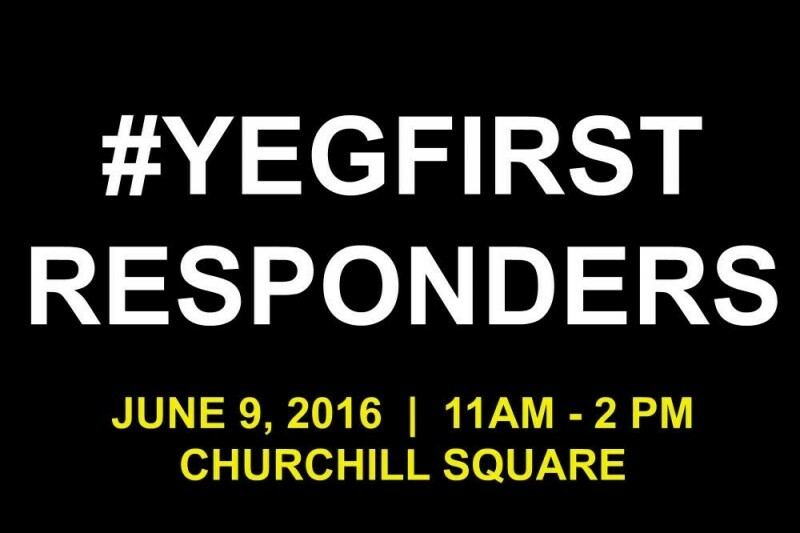 The Inaugural Edmonton's First Responders Day will take place on June 9th, 2016 in Edmonton (Churchill Square) from 11AM - 2PM to raise funds for Legacy Place Society. Edmonton's First Responders Day is a celebration of the efforts of our First Responders while raising funds to support mental health initiatives that directly support First Responders. Legacy Place Society provides a temporary home away from home and support for First Responders' and families during times of crisis. The proceeds raised on GoFundMe, in addition to corporate sponsorship and event day donations will support Legacy Place Society’s ongoing initiatives in Edmonton. We need your support NOW to meet our fundraising goal. The goal of Edmonton's First Responders Day is to raise awareness and celebrate the great work these people do in our communities. They are a unifying source of pride for all of Edmonton, whom has directly or indirectly impacted each one of us. A donation in support of Edmonton First Responders Day will show your gratitude and appreciation for the men and women that put themselves in high risk situations to better our community every day. Please join us in Churchill Square for an exciting afternoon displaying dozens of First Responder vehicles including the EPS Command Post, EFRS ladder truck, bomb squad resources, canine obstacle course, and jaws of life demonstrations. This event is being organized by Elevate Edmonton. Elevate Edmonton is a group of young and diverse Edmontonians united under a vision of enhancing the profile of Edmonton through collaborative initiatives related to business, community engagement, and philanthropy. For inquiries about legitamacy of campaign please contact Diana Festejo at Legacy Place Society info@legacyplacesociety.com or 403-201-9945. We are happy to confirm that Dave Babcock (The Nightkeepers) will be performing live music at Edmonton First Responders Day.